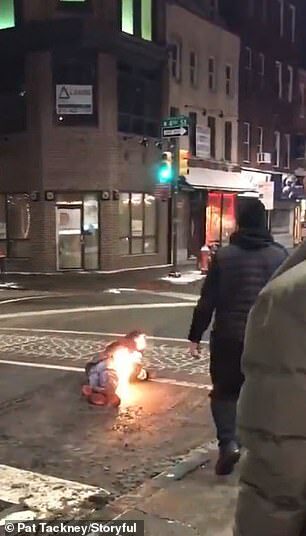 A man ended up being set on fire after being Tased by security guards in South Philadelphia on Friday night. 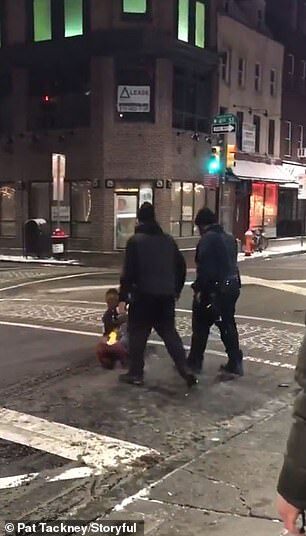 Pat Tackney, who managed to capture the entire incident on film said the encounter occurred when the man refused to leave Jim’s Steaks and ended up having to be dragged out by security. 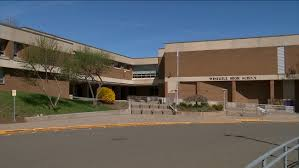 The footage then shows two burly security guards use a stun gun on the man before his leg catches fire. In the video, the man appears to grapple with one security guard, then falls after a second one fires the device at him. The flames appear to extinguish by themselves after several seconds. So far, neither Jim’s Steaks or the Philadelphia Police Department have commented on the incident. Restaurant president Ken Silver said the incident was visible on the restaurant’s security cameras as well. ‘We are currently reviewing the after-store-hours incident that occurred outside of Jim’s South St. early morning on February 2, 2019,’ he said in a statement. Since 1977, Philadelphia prohibited the individual possession or use of stun guns until the ban was relaxed in October 2017. Now, anybody over the age of 18 in the City of Brotherly Love are allowed to purchase and own both handheld electric stun guns as well as the projectile devices distributed by the city’s police department to its officers. Although such incidents are rare, at least 15 people have caught fire upon being stunned with a Taser, five of whom later died.